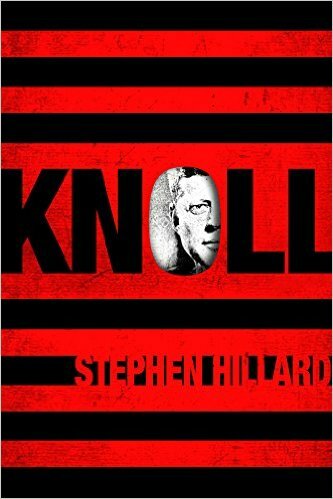 Goodreads: A young protégé of Edward Snowden flees the NSA after she learns that her project (KNOLL) is designed to detect and destroy any person with new facts about the conspiracy to assassinate JFK. The project’s latest target: a small-town attorney, son of a mysteriously murdered cop, who has just discovered his family’s involvement with deceased Mafia Kingpin Carlos Marcello, and the events that day in Dallas. All paths lead to a small Louisiana town that still hides its secrets, and converge on the doorstep of Marcello’s still-active savant of assassins. He is unstoppable. His creed: Omerta Is Forever. Kritters Thoughts: I think most historical fiction fans love to read books across all times, so although I don't read a ton in this time and place, I enjoyed diving in for one book. The thing for me that made me not completely love this book was the writing itself. It just felt short and choppy. There was something missing in the flow of the book and it made it hard to read. I liked the inclusion or nod to Edward Snowden and loved the idea of leaks being incorporated into a conspiracy novel, but the overall flow of the book didn't work for me. I saw all the above, but have to say that I adored the concept. There were many times during the book where I was like "could this be real!" I wanted the author to say YEP and this is how it all went down. I loved my idea of the truth being challenged - I may have to read more of this conspiracy theory soon. I would like to try another by this author. I would be hesitant to recommend this one to a reader that has a hard time getting into and staying in books. If you are a history fan or a JFK fan than this book is right up your alley.